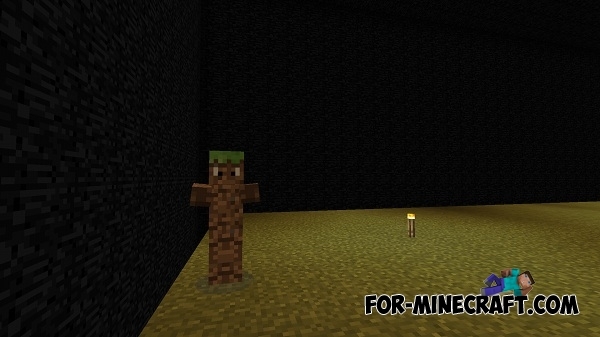 Dimension mod adds 7 new dimensions and new bosses in Minecraft Pocket Edition 0.14.0. 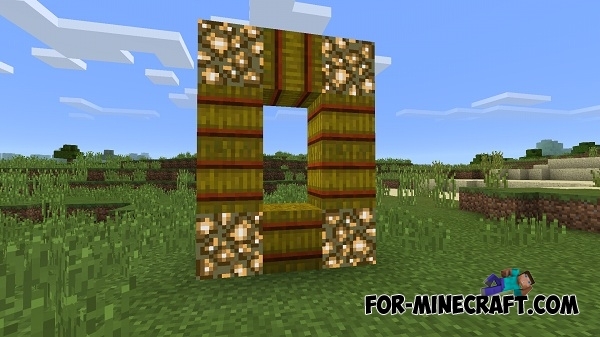 You can get into a new dimension with the new portals that are generated from certain blocks. Let us now consider in more detail each dimension. For this purpose you need to make a special construction, which is unique for each dimension. 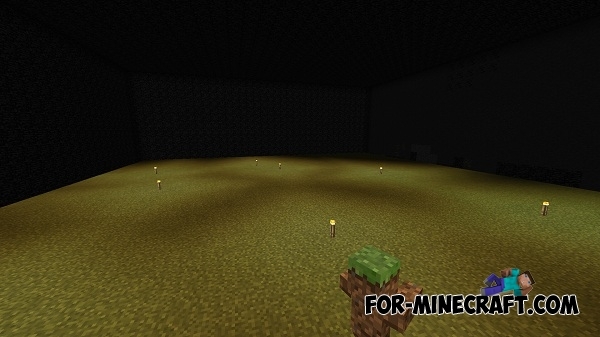 It consists of 4 glowing stones and specific blocks. 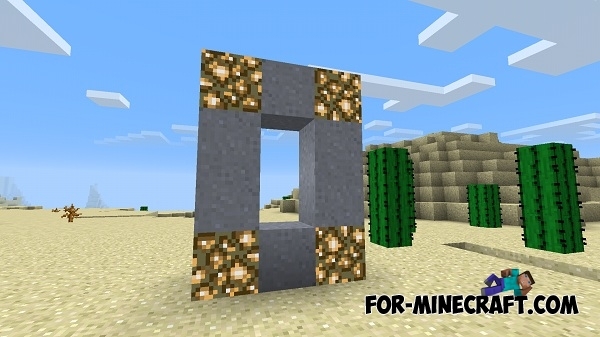 To get into the dimension you need to take a flint and steel and tap on this portal. How to return to the ordinary world? 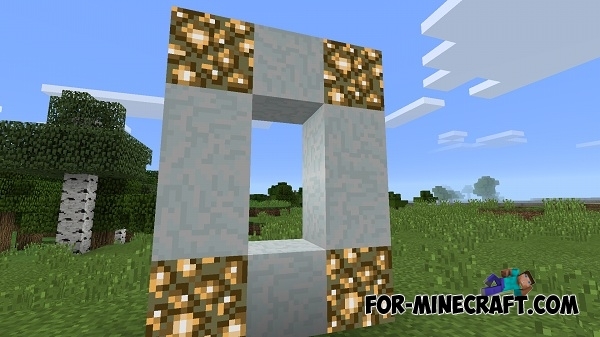 Just make again the portal and click on it by flint and steel. This dimension is made up of grass and still lives here grassy Boss. 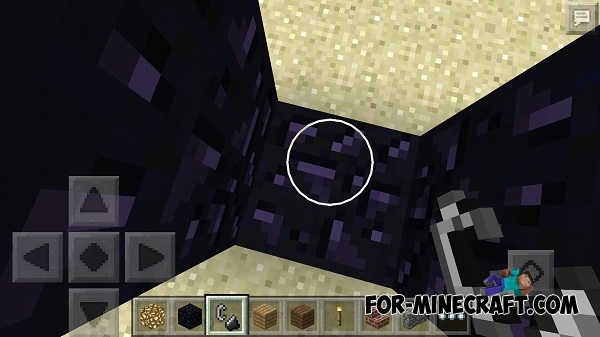 You need the obsidian to create a portal for this dimension. 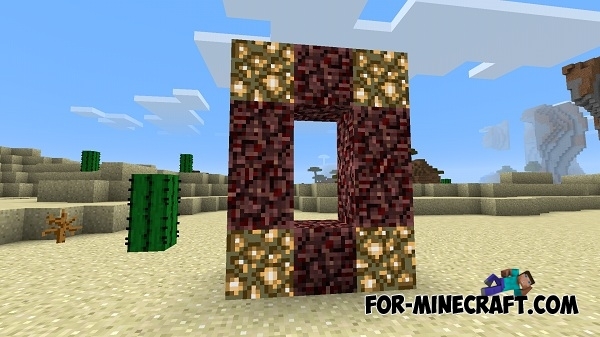 This dimension consists of obsidian and lava. 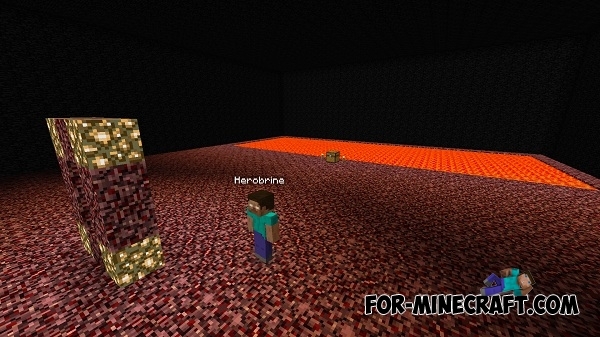 Oh yeah, you will find here even Herobrine and chest of useful items! 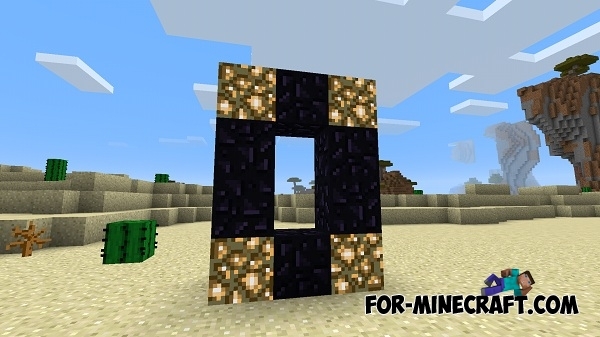 You need a netherrack block to create a portal for this dimension. 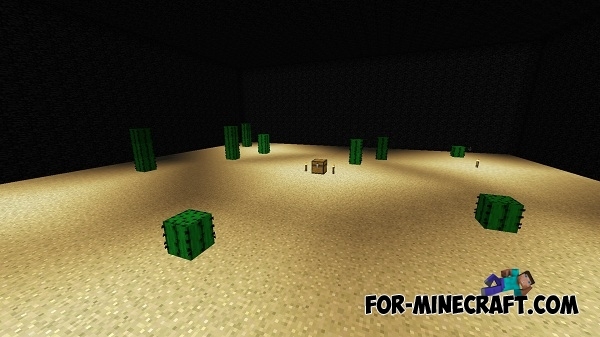 A huge amount of sand and cactuses are located in this dimension! 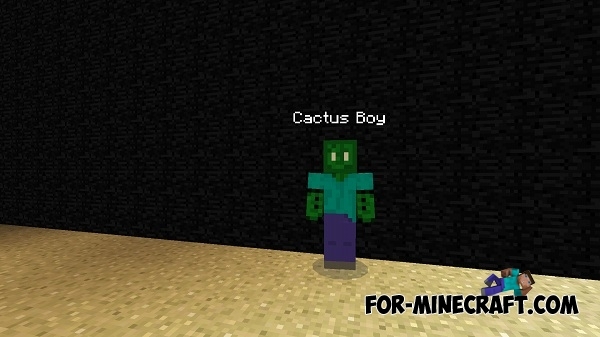 Beware of Cactus Boss! 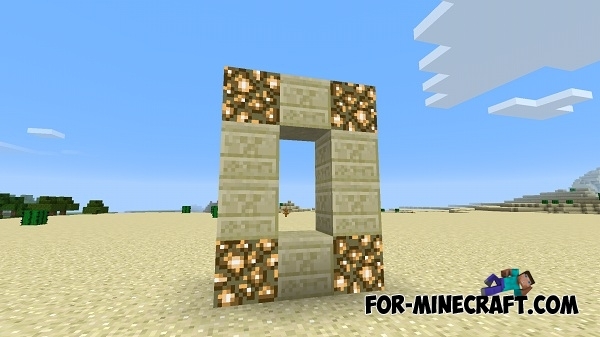 You need a sandstone to create the portal for this dimension. There are also chest of useful things for you. You will find here a lot of seedbeds for growing crops and the chest which will help you to do this. 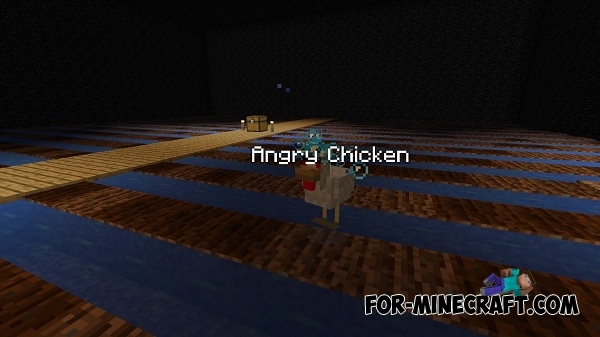 But beware of the Evil Chicken, which can kill you! You need hay bale to create a portal for this dimension. It is an ideal place for swimming! You need the clay to create a portal for this dimension. 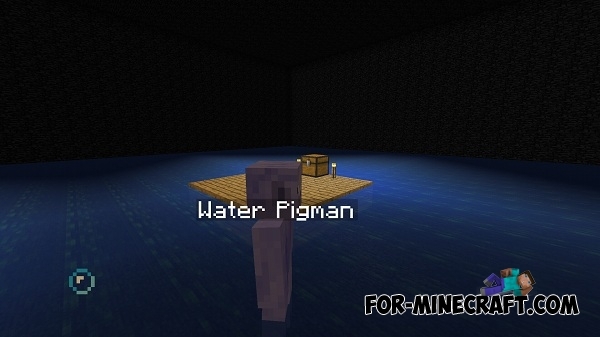 But Aquatic Pig-man can kill you so be careful. Funny ice dimension, which is home to Snow Boss that guards a chest with items.. You need the snow block to create a portal for this dimension. 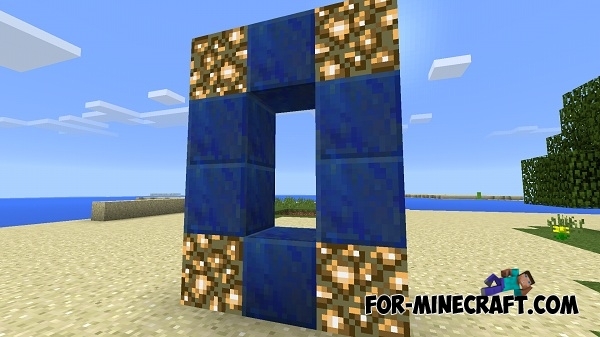 The developer has added that dimension because love lapis lazuli but the dimension is consists of iron blocks. 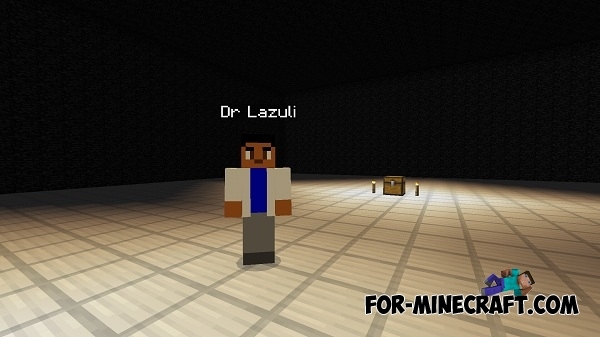 You need a lapis lazuli blocks for the creation of a portal for this dimension.